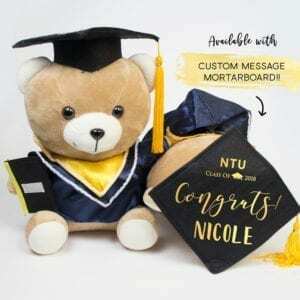 Celebrate the great accomplishment with this plush graduation bear keepsake. 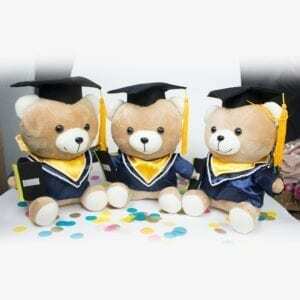 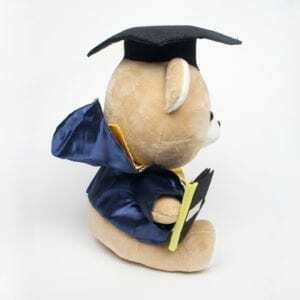 This plush graduation bear wears a Graduation Gown with Hood and Mortarboard!! Teddy Bear size is of 30cm in height. 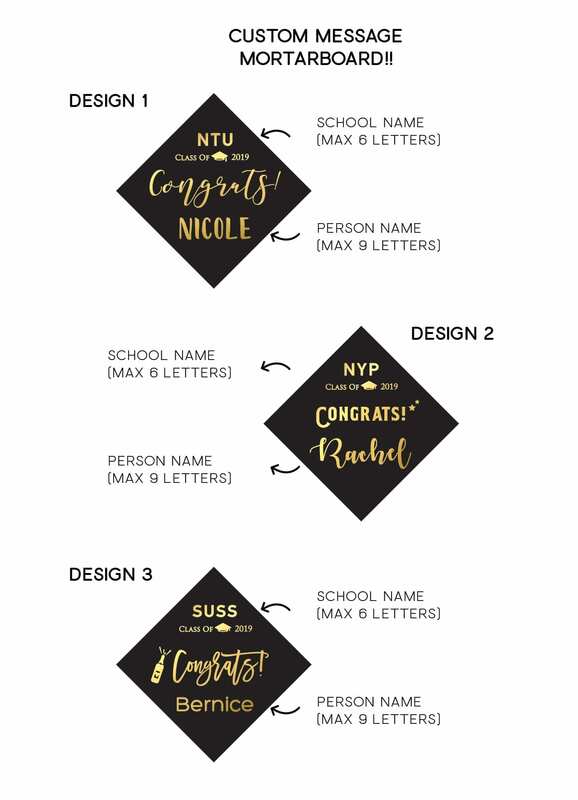 LEAD TIME: We would need 5 working days for personalized name bear to be ready to post out or for collection. 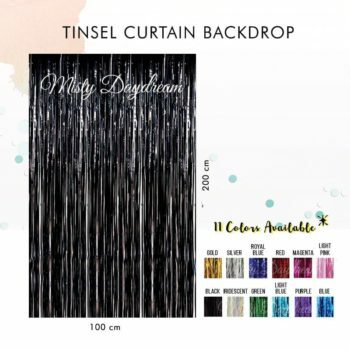 If you need urgently, do WhatsApp us at 82227491 to check for earliest available date. 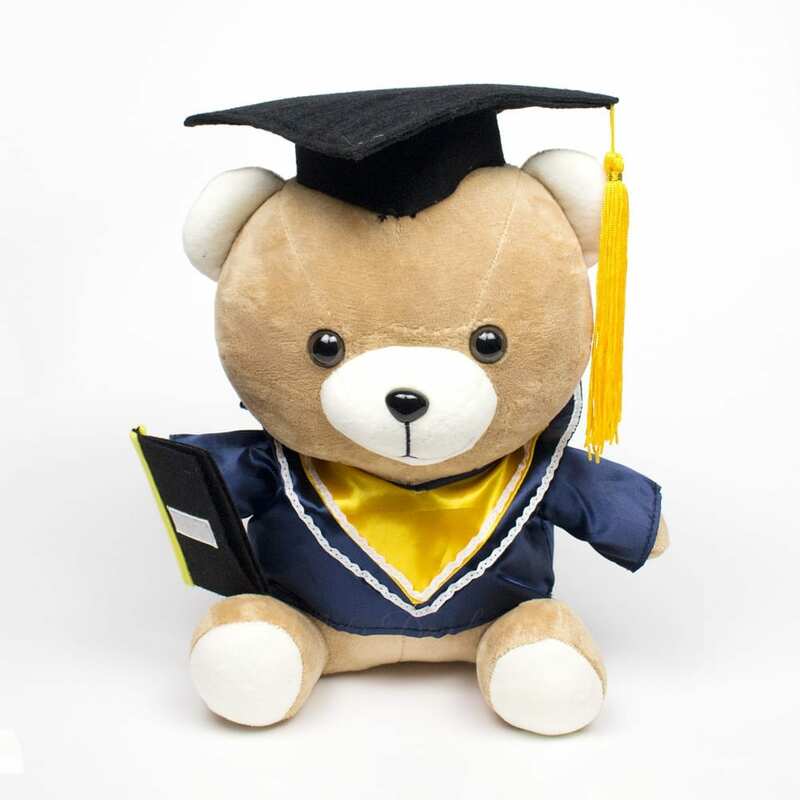 Some may think that graduates are too old for stuffed animals. 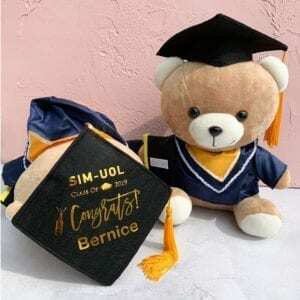 However, no one can resist this cute little bear in his cute cap complete with tassel and customized mortarboard. 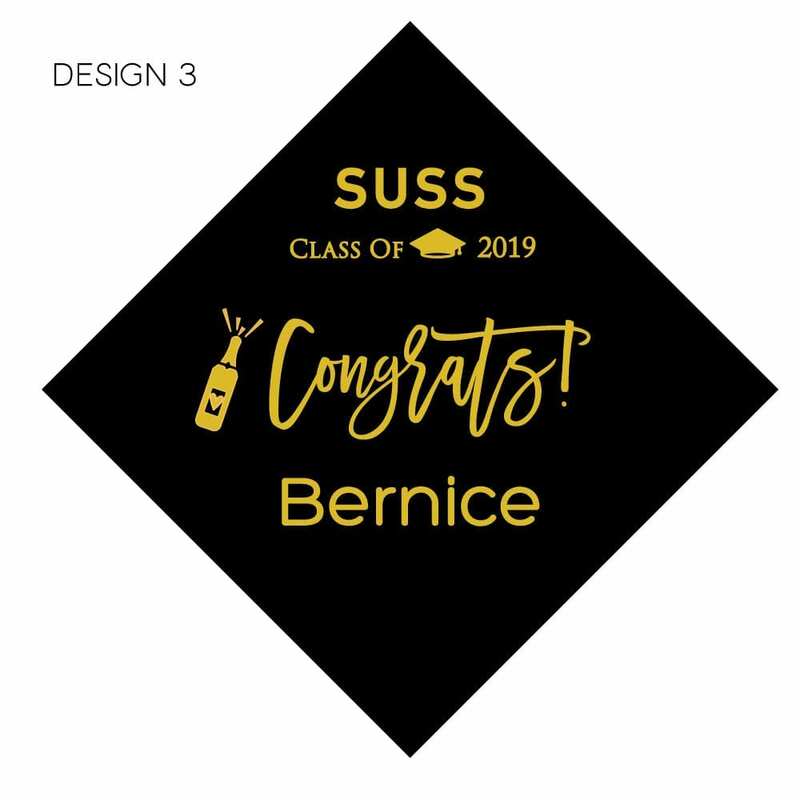 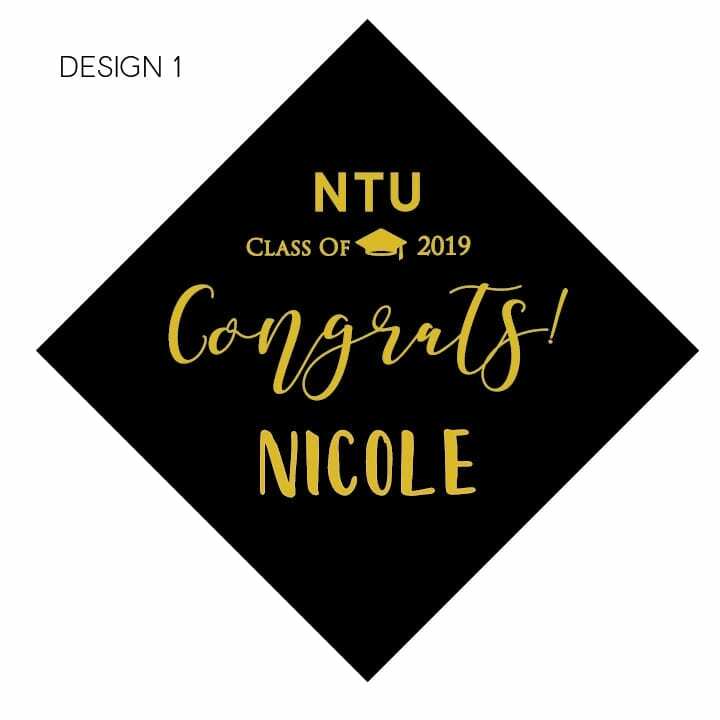 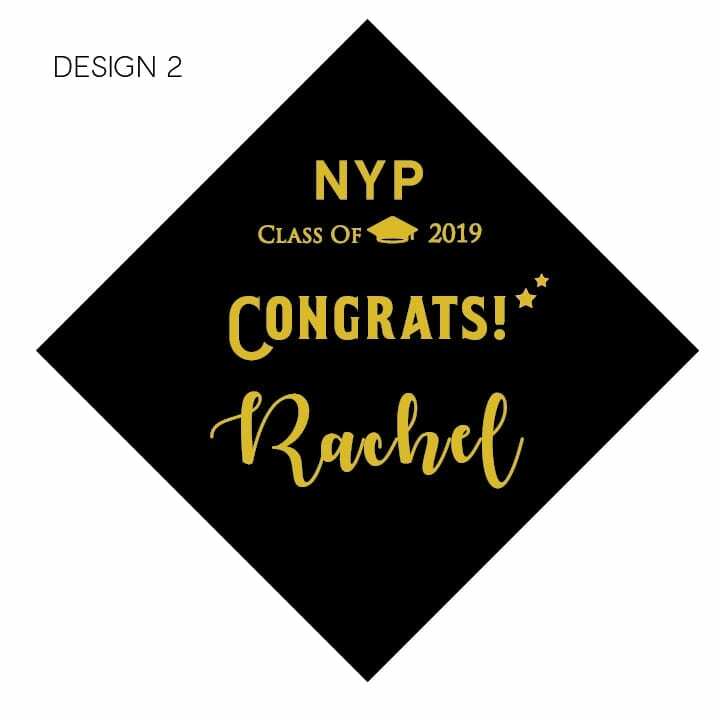 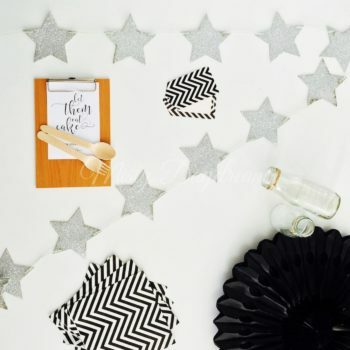 Once graduation is over, it will remind him of this day while simultaneously providing decor for a new apartment or just something to snuggle when you’re not there. 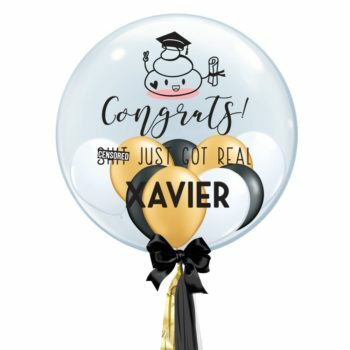 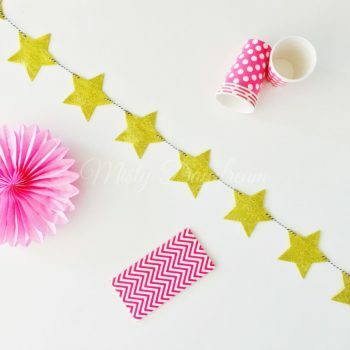 Just because you’re an adult doesn’t mean you have to fully grow up!